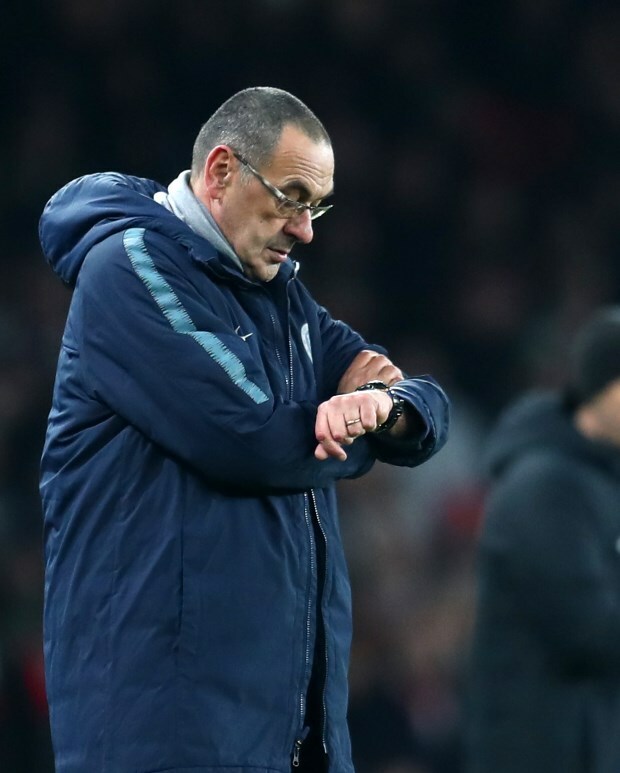 Maurizio Sarri has urged the Chelsea fans to remain patient as he tries to build something great at Stamford Bridge over the course of the season. The Blues slipped to fifth in the Premier League table after suffering a humiliating 4-0 defeat at the hands of Bournemouth on Wednesday. And the insipid performance against the Cherries in midweek came in for stern criticism from the Chelsea supporters, who were equally vocal about Sarri’s lack of tactical flexibility. However, ahead of Chelsea’s next game in the Premier League against bottom-placed Huddersfield Town, Sarri has urged the fans to remain patient, despite back to back defeats in the league. The Italian says he is trying to build something great at Stamford Bridge and has asked the fans to give him time to implement his ideas on the pitch. Sarri also apologised for the defeat on the south coast by referring to the performance as a total “disaster”. “First of all, we have to say sorry for that, because the result was a disaster”, Sarri said in a press conference via Chelsea TV, ahead of the meeting with Huddersfield Town. “I can understand them very well. "They have to be patient with us as we are trying to do something great. Chelsea are only behind Arsenal, who climbed to fourth in the table after a win over Cardiff City on Tuesday, due to an inferior goal difference.